Although men and women have been painting their bodies with minerals for thousands of years, this quiet cosmetic revolution came about in the 1970’s. Mineral powder is something that anyone and everyone can use. 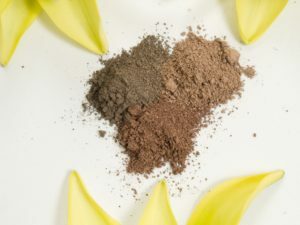 Most mineral powders offer great benefits, but be sure to take a look at the ingredients. “Mineral Enriched” does not necessarily mean that it is a mineral powder. Mineral powder is usually made with a few common ingredients. It can come in different forms and textures such as liquid, cream, pressed or loose, concealer, blush, lipsticks, etc., but other ingredients may also be added to the product when changing its form. New technology has allowed manufacturers to create more and more shades. These micronized particles are treated with light or heat for different shades and textures. Minerals are grounded up and reduced to super fine particles. This process is called micronization which is basically how fine the mineral powder can be crushed into. The coverage of your makeup will be determined by how many times it has been micronized. The smaller the particle, the higher the coverage. Be sure to allow your moisturizer and primer to completely set before applying your powder. This keeps the product from sticking to one area. To help with coverage, use the right concealer to cover up darker pigmentation. Using a fluffy brush will not pick up enough product. Using a with a dense brush head, such as our kabuki brush, allows for even and fuller coverage. Pour some of the loose mineral powder into the lid of the foundation. Swirl your kabuki brush then hold the brush up and tap on the sides to allow the product to go into the brush. Apply using small circular motions to buff the product into your skin. Layer on product until desired coverage.